The brand new Princess Collection from Paris Hilton is just that….fit for a princess! 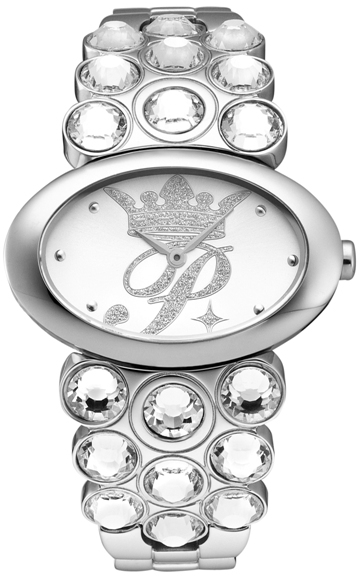 The PRINCESS is stainless steel with 18 large crystals incorporated into the bracelet and a beautifully detailed oval shaped silver sunray dial with the Paris Hilton logo and crown in silver glitter — for the ultimate in royal bling! Also available in yellow or rose gold.